There’s a fence just beyond the white building on the upper left of the photo, where the border between Lebanon and Israel stands. So far, there’s been no GMJ related provocations, though the IDF thinks there’s a good chance it may sometime during the day. 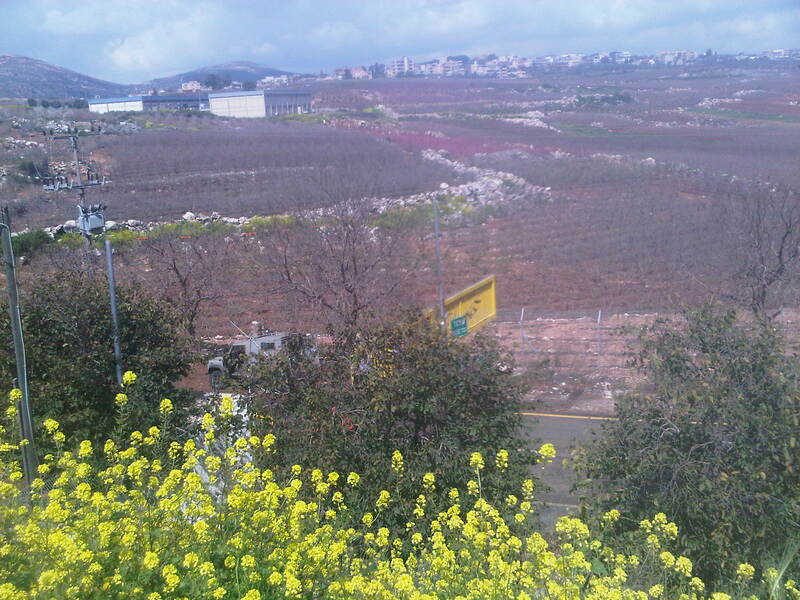 I just met a man in Metula, in northern Israel along the Lebanese border, whose home overlooks the field shown in the photo – who not only let me recharge my laptop battery by his garage, but invited me in his home to chat. George is a Christian Lebanese-Israeli. That is, he is Lebanese but fled S. Lebanon with his family not too long after Israel withdrew in 2000. Their decision to leave was based entirely on the fear of Hezbollah and what he thought would be the corresponding intolerance towards Christians as the result of the ascendant Shiite Islamist movement. George told me, when asked, over a cup of intense Lebanese coffee, that he would never consider returning to his country of birth, even if his safety could be assured. 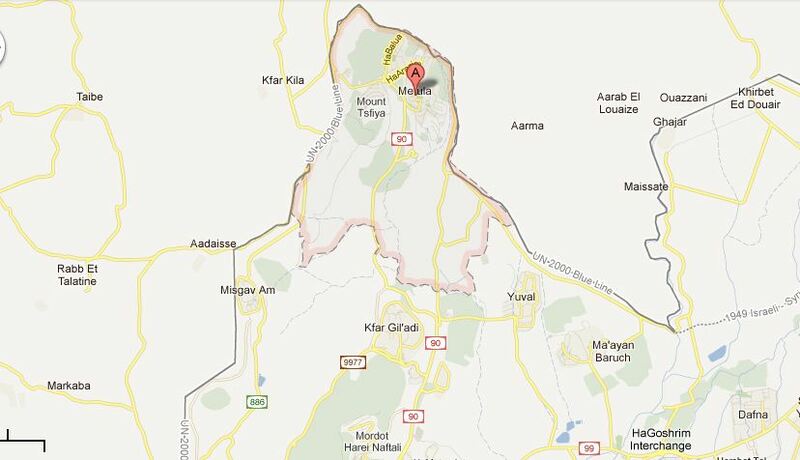 Israel is now his home. Just one little anecdote perhaps, but a tale which speaks volumes about the small physical fissures, and quite large moral ones, separating the Jewish state from its neighbors. You just need to speak to some of the Alawytes from Rajar that decided to get Israeli ID’s in the 80’s. There are sad stories and good stories. The amount of coaches that used to cross the border through out the 80’s and early 90’s from Lebanon to Israel was a memory i can’t forget. Women coming through to work in the Israeli factory of gibbor outside Kiryat shmona. That is the worst part of all of this, in the end – there were good relations with Lebanon before the bloody PLO got its claws into the area. BBC is reporting from the same spot right now.Very sad – nothing happening at all. The London studio anchor announced that this was all because of the loss of land in the “1976 war”. Well – 1967 or1976 – a bit of dyslexia or perhaps just it all happened so long ago, who can remember the dates? Does it matter as long as we know that Israel is always responsible and to blame. How comforting it is to know who the baddie is. As I pointed out earlier 1976 were the land day demos regarding Israeli Arabs rights and Israel claims to absentees’ land.1967 was a war. Link for live broadcasting, please? Maybe the BBC needs to talk to George. Thanks for sharing your thoughts on http://www.wpowerakku.